This overview video of the Dynamics AX shop floor control application is part of the AX 2012 R3 release. Click the graphic below to view the video. 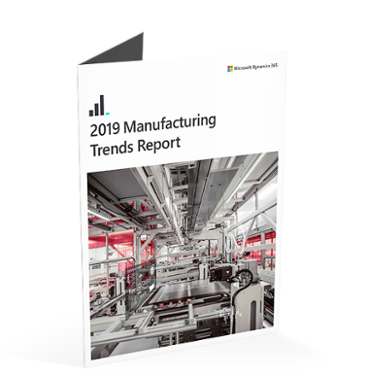 Manufacturers have always worked to improve performance against benchmarks such as cost, time-to-market, product quality, and reducing inventory levels. Now globalization, contract manufacturing, growing environmental and social awareness, and the need for instant operational insight are adding new opportunities as well as challenges. Microsoft Dynamics® AX 2012 helps manufacturers meet these opportunities and challenges with a powerful enterprise resource planning (ERP) solution that is purposely built for manufacturing organizations. Experience Deliver Role-Tailored access to unified work lists, visual task queues, business processes and reports, notifications, key performance indicators (KPIs), and other important information. Personalized Role Centers are available for eight manufacturing-specific roles. Simplify data access with familiar Microsoft tools, including Microsoft Word, Excel®, and SharePoint. Product Information Management Centralize management of products and services across the organization, including bill-of-materials (discrete mfg. ), formulas (process mfg. ), and variant and configurable products. Manage the release of products and services to individual legal entities. Configure custom products with a unique bill of material and routing using the product configurator. The product configuration models are based on constraints, and can be used from sales order, sales quotation, purchase order, and production order. Discrete Manufacturing Execute multiple production strategies, including configure-to-order, assemble-to-order, make-to-stock, and make-to-order. Use both push and pull production control mechanisms. Create, schedule, view, track, split, roll back, or categorize production orders. Manage routing: Plan simple, sequential, and complex networks; use simultaneous routes in the same network. Use rough-cut capacity and detailed scheduling capabilities. Organize the shop floor into logical production units at individual sites. Process Manufacturing Define multiple inventory dimensions: dual units of measure, catch-weight calculations, packaging codes, variations, and lots. Manage multilevel formulas or recipes, co-products and by-products, electronic signatures, and packaging options. Analyze and monitor production costs and requirements for each sales order component using graphical representations of multilevel formulas and recipes. Reduce inventory costs and eliminate waste by pulling inventory in optimal sequence using “best-before” management and first expired/first out (FEFO) or first in/first out (FIFO) picking guidance. Lean Manufacturing Model manufacturing and logistics processes as production flows. Use kanbans to signal demand requirements. Monitor and manage kanban jobs using kanban boards. Inventory Management and Master Planning Apply multiple options for inventory valuation, including: FIFO, LIFO, standard cost, and weighted average. Master planning: Create and run multiple plans across multiple sites to meet demand and keep orders synchronized based on changes in internal or external demand. Improve distribution planning and forecast scheduling with an overview of longer-term purchasing, production, and resource requirements. Use action and future messages to take specific actions on system-generated orders. Optimize enterprise-wide planning by providing upstream organizations in your supply chain with visibility into the demand of downstream organizations. Streamline subsidiary trading and apply intercompany trading policies. Create intercompany order chains directly and automatically from sales order to end-customer with and without direct delivery, and update sales orders from purchase orders and vice versa. Multisite: Maintain centralized control of all site parameters from any location, whether site-specific or company-specific, including inventory, performance goal management. BOMs, routing, costing, and profit and loss dimensions. Manage multiple, distributed warehouses; apply different costs, prices, and cost category rates; and route data by dimensions. Improve business processes for quality assurance, quality control, and lot traceability. Efficiently manage the flow of product for Purchase orders, Transfer orders, and Production orders. Create powerful reservation hierarchies for items with new Reservation Engine. Utilize advanced picking capabilities such as “Wave Pick” to support picking in the most efficient manner possible. Maximize your productivity by enabling full HTML-based RF support for remote warehouse workers. Transportation Management Positively impact expectations of business partners by providing complete visibility into the transportation planning process. Processes include inbound and outbound shipments, multi-shipment loads, shipment consolidation, and even load building calculations. Rate Shop for the least expensive rate or choose the best rate for the customer based on other key criteria they might have by considering customer constraints that impact routing, fuel charges, toll charges, and even leverage multi-segment or multi-mode shipping. Validate billings through Freight Reconciliation capabilities. Demand Forecasting Take advantage of a lightweight, yet powerful demand forecasting tool. Allows users to use Excel as their User-Interface to adjust the information for the forecasted demand. Procurement and Sourcing Facilitate direct and indirect procurement of goods and services. Utilize self-service capabilities to empower employees to order day-to-day goods and services from searchable online catalogs. Help vendors operate more efficiently by enabling them to work online, such as updating profile data and catalog content, submitting invoices, and reviewing payments. Enhance buyer capability to support workflows, procurement policies, and processes. Streamline service operations with service agreements, service orders, service subscriptions, and repair management. Financials, Compliance, and Internal Controls Optimize financial operations with general ledger, bank management, fixed assets, accounts payable and receivable, cost accounting, budgetary control, intercompany accounting, and shared services support. Help ensure organizational compliance with laws, regulations, policies, and business rules, including internal controls through the Compliance Center. Take advantage of the Audit Workbench to define your organization’s policies and automate auditing processes. Use an Environmental Sustainability Dashboard to track energy use and carbon footprint. Sales and Marketing Build and strengthen customer relationships through sales management, sales force automation, lead and opportunity management, marketing automation, and case management. Connect easily to Microsoft Dynamics CRM, online and on-premises. Management Manage human resources with Human Capital Management tools including benefits administration, absence management, compensation management, injury and illness tracking, employee development, and competency management. Specify skills, courses, certifications, and titles as requirements in the production route when scheduling and allocating resources to production jobs based on human resource considerations. Business Intelligence and Reporting Give employees instant access to information with built-in reports using Microsoft SQL Server® Reporting Services. Automatically generate custom reports with Microsoft SQL Server Report Builder, an ad hoc query tool. Many built-in reports for manufacturers are available, such as production overview, lean production variances, and work-in-process. Enable self-service business intelligence with prebuilt data cubes that can be displayed as KPIs in employees’ Role Centers and viewed with more detail in Microsoft Excel. Portal Use the Employee Portal and workflow tools to order products and services, enforce spending, allow approval policies, and to enable employee self-service for performance goal management. Tools Automate business processes through a graphical workflow editor to create business rules and custom workflows (or use templates) used by business analysts. Help ensure segregation of duty and minimal setup and maintenance of user accounts with role-based security and single sign-on capabilities. Make organization-specific modifications easily in Microsoft Visual Studio® and X++ development environments. Ease application-to-application and business-to-business integration with a flexible services and application integration framework. Maximize existing IT investments, lower TCO, and make additional productivity gains through Microsoft Dynamics AX 2012 interoperability with other key Microsoft technologies, including Microsoft Office, Lync, SharePoint, Windows® and Windows Server®, SQL Server, Microsoft .NET, Microsoft BizTalk® Server, and Visual Studio. Download the Manufacturing Fact Sheet for more information.